Paul Restaurant & Bakery Kuwait, last updated on 22 April 2018 , is listed under French Restaurants category. It was added to Kuwait Directory Rinnoo.net on 13 May 2014 . Pages of Paul Restaurant & Bakery Kuwait on Rinnoo.net have achieved 147,974 views till now. 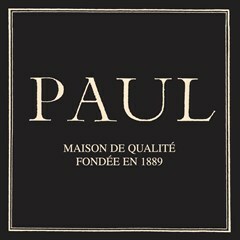 Since 1889, PAUL Bakery & Restaurant has stayed true to the heritage of French rustic cooking and traditional baking, distinguishing itself for its fine breads baked in the bakeries which are in full view for the customers, and its wide selection of quality French casual dining dishes and mouthwatering desserts.